Though the world is changing in terms of trends , Technology & Modern discoveries , We are still strongly routed to our TRADITION. This being our first blog we decided to do it in Ethnic Way. Accessorize , Bright & Colorful are our ABC for this season. The first outfit we have created using Mix & Match playing with all bright colors. Shruti is wearing a Long Sun-kissed(Orange) Kurti with a Golden net Palazzo & Net Dupatta. Accessorized with golden handcuff – bangles & floral Ear cuffs which we have got from a local shop in Bandra. Sanskruti has teamed up a Sun kissed(Orange) Tee from Lokhandwala & a long Jaipuri printed skirt with a side bag which we have purchased from a Hand loom Exhibition in Bandra. Accessorized with wooden bangles & Tassels neck piece from a local shop in Bhuleshwar. The second outfit is created with Silk Sarees. Shruti is wearing Silk Green Bandhani Long gown dress. 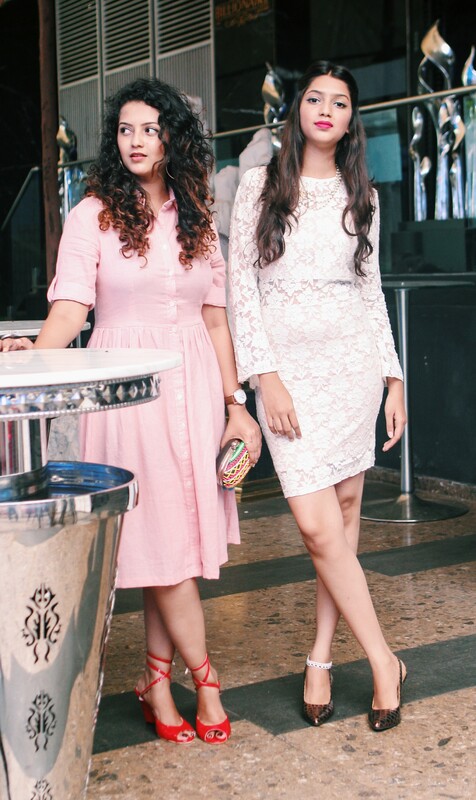 Video coming up soon on our YouTube Channel Howtheyglow so stay tunned for a complete look . Next articleStripes Does It All !